Cranial Cruciate Ligament (CCL) disease is an all-too-common problem in canine companions today. If you’ve known a dog with a CCL injury, you know how serious and debilitating it can be. Certain breeds are more prone to this disease. 1) extensive physical trauma (notable injuries), and 2) nutritional deficiency, which weakens the ligaments over time, predisposing the animal to rupture without notable trauma. 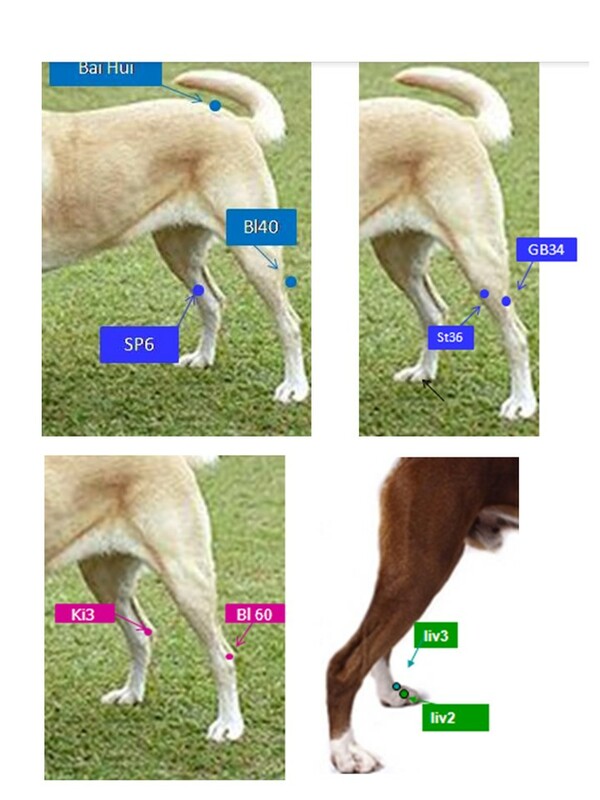 Nutritional therapy is the best way to prevent a CCL injury, especially in genetically predisposed dogs. So obviously injuries happen and common wisdom is that if one leg is injured the the second one will eventually have a tear but there may be away to help minimize or prevent CCL tears through diet and weight management. It appears that low levels of Manganese may play a big role in CCL tears. I continued my research and came up with one recurring factor in connective tissue resiliency: dietary intake of manganese (Mn). Manganese is required for healthy, strong ligament development and maintenance. 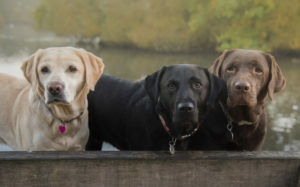 A dog’s manganese requirements are high. Food sources vary on the amount of manganese present. Unfortunately, I still have clients who don’t believe in following recipes when home-preparing food for their dogs. Most of these “prey model” feeders erroneously assume all the minerals are present somewhere in and amongst the variety of free-range, organic meat, bone and organ blends they feed their dogs. But clearly, the number of non-traumatic CCL tears my veterinary orthopedic surgeon counterpart was repairing was telling a different story. Many of my clients who made their dogs’ meals at home were missing this critical mineral (among others) in their diets. The ancestral diet and lifestyle provided an abundance of opportunities to consume manganese, a very different story than feeding today’s dog. The ancestral diet provided, on average, 3.1 mg of manganese per 1000 kcal (calories). This was, indeed, a naturally very ligament-supportive diet! The Association of American Feed Control Officials’ (AAFCO) minimum manganese requirements are 1.8 mg per 1000 kcal of food (and these are new standards, the old standards were less at 1.4 mg per 1000 kcal). This is roughly 50 percent less than what the ancestral diet provides! A homemade prey model diet of “80/10/10” lean beef (blend of meat/bone/organ) supplies 0.22 mg Mn per 1000 kcal. Chicken 80/10/10 supplies 0.12 mg Mn per 1000 kcal. What does this mean? These excellent-quality, meat-based diets are even more deficient than AAFCO’s too-low recommended minimums. These facts highlight two things. Number one, the difference between supplying just enough nutrients to survive (AAFCO standards) vs. supplying the vast nutrients needed to thrive (the ancestral diet nutrition parameters) means lots of commercial diet/dry food-fed dogs end up at the veterinary orthopedic surgeon’s office. Secondly, prey model feeders — those people who are spending a lot of money to feed unbalanced, fresh food diets to dogs with torn cruciate ligaments — need to reassess how well “balance over time” is really working. My recommendation for avoiding CCL injuries is simple: Don’t guess at your dog’s diet. Feed a homemade, fresh food diet you know is balanced for optimal nutrient intake (and not just manganese, all nutrients). Keep your dog in shape, intact (opt for an ovary-sparing spay or vasectomy, when possible), and titered. GB34 Between the head of the tibia and head of the fibula on the lateral side of the back leg down from the kneecap you can feel a space between the two bones and there will be a stop where the bones meet and a little depression that your finger will fall into.GB34 it is the influential point for tendons and ligaments. helps strengthen tendons and ligaments in hind legs, also helps with blood flow. KI3 BL60 top of the hock thin skin your fingers will slide into it on either side it is kind of like our Achilles this is two points Ki3 and BL60 K3 is a source point good for the kidneys which house original chi this will tonify source chi and give a little boost also helps with arthritis fear based issues and circulation. Kidney’s Sister Meridian is the Bladder so that is helpful as well BL 60 is called the aspirin point and is good one to help with pain and stiffness in body.